Paperwork: Paperwork includes travel plans, gear lists, maps, permits, licenses, tags, contracts with guides or transporters, meal planning, selecting firearms etc. Physical Activities: The physical activities involved are conditioning, sighting-in and practicing with the selected firearms or archery equipment, setting up and testing the equipment you plan to take, and acquiring all gear and packing it for the trip. It is also wise to plan ahead before the time you actually go for the hunt. Some hunting sites/guides have checklists that you can use to help you plan effectively. Going on your own hunting trip requires that you have plenty of knowledge on the area you are going to hunt in. This means getting to know what you expect in terms of animals, weather, terrain etc. It is also essential that you have a map of the area and all required permits as well as licenses, as required by the law. If you are going for a guided hunting trip, do plenty of research about the outfitters and guides. Get to know about the services they offer, equipment and prices. As soon as you wish to go for a hunt, it is best to book it because hunting spots tend to fill up very quickly. Booking travel spots such as airline tickets is a good idea so that you are all set on the day you decide to embark on the hunt. 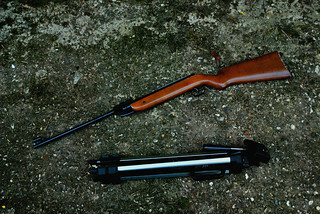 Choosing an air rifle for your hunt can be complicated if you do not already have a preferred gun. 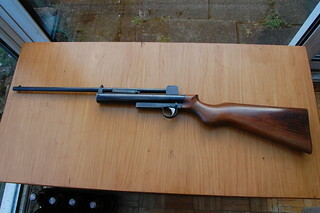 There are 2 main types of air rifles: spring powered and pneumatic. Others include Gas-Ram, pre-charged pneumatic, multi-stroke, CO2 powered etc. I recommend that you do a research on these guns and visit dealers that can help you choose more efficiently depending on your shooting prowess and the game involved. A good air rifle dealer I use is Sportsman Gun Centre. Register your gun and acquire permits that are necessary for the hunt. Tactical flashlights are popular among hunters because their intense light can blind the animal target, making the hunter gain an advantage and attack the animal. I recommend carrying out a research of tactical flashlights that you can buy if you do not own one already, and getting it as soon as possible. I advise that you have a checklist where you include all the items that you intend to carry so that you do not leave anything behind as you are leaving for the hunt. This is more of a test than a preparation. It involves testing your equipment. For guns, you would want to test the range, recoil length and if it actually fires (you would not want to go then the gun is jammed). Make sure that your flashlight is working and has enough battery. Generally, anything you want to carry has to be functioning. Clothing is another aspect you need to consider. High-tech fabrics are important. Your clothing needs to be durable and able to effectively wick moisture and dry quickly. Get durable socks too. Gaiters are also a good idea to prevent debris and moisture from getting in your boots and up your pants. After acquiring all that you need for the hunt, pack them up in secure hunting bags and use your checklist to counter-check what you are carrying. I hope my article has given you more insight into planning for your hunt. Have fun hunting and remember to process your game at a professional game processor. This is a guest post by Jeremy from Air Tool Guy – where he reviews various Home Improvement Tools and develops buying guide to shop the best tools. My dad used to go hunting all of the time. I’ve been thinking of going on one soon. I need to get my paperwork in order first. I have my license but I still need to get a tag. Thanks for best tips for planning-hunting. I am serialize to read these tips.As a beginner it’s awesome tips and will be helpful. Hope the process will be continue. My dad’s birthday is coming up and I am thinking about taking him on a hunting trip for his present. You make a great point that you should book early as well as do a lot of research about the guides. I am planning to do a guided trip with my dad, so I will definitely find out about the services that different guides offer including equipment and prices. I found it really helpful when you said that hunting spots can fill up very quickly, so it’s best to book your hunting trip early. My husband and I are interested in hunting cougar adventures. We’d like to make sure that we’ll be able to avail hunting packages that are affordable, so we’ll make sure to consider all your tips.